1. I want the tabs to open when you mouse over them, not when you click. Is it possible to do this? 2. I want the tabs to close when your mouse leave them. Can I do this? 3. It keeps saying "Incorrect key" when you click on them. Is it possible to fix them? A: No, unfortunately it is not possible in Deluxe Tabs. 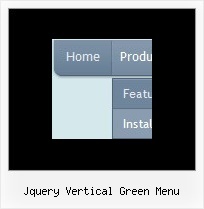 But you can use Deluxe Menu to create such java script horizontal menu. var smHidePause=-1; //your submenus won't be hidden till you click orscroll the page. "Incorrect Key" message means that you didn't paste your reg. key into data.js filewith your menu. Where XXXXX the key from your license message. Try to clear also browser cache. Notice your key will work on registered domain only. It won't work onlocal machine. Q: How do I center the text in a top menu item in the dhtml menu, so that it is centered in the "box" that is clicked? Jimdo Forum • View topic - как вставить <var> jimdo в код?